It was an exciting afternoon in the Freeport School District on Sept. 6, as students from Bayview Avenue School and Leo F. Giblyn Elementary School lined up to carry boxes filled with donated school supplies into their respective buildings. 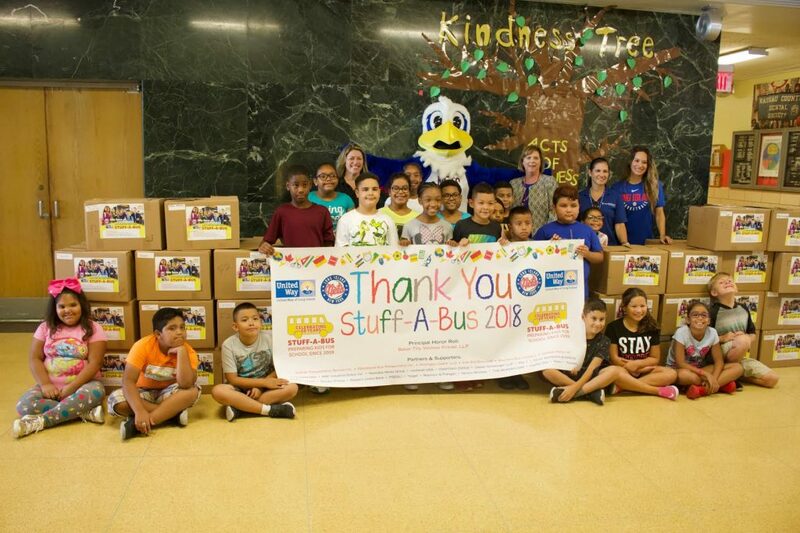 The packed boxes are part of United Way of Long Island’s Stuff-A-Bus campaign, which helps supply local students with new backpacks and other school essentials, donated by members of the community. 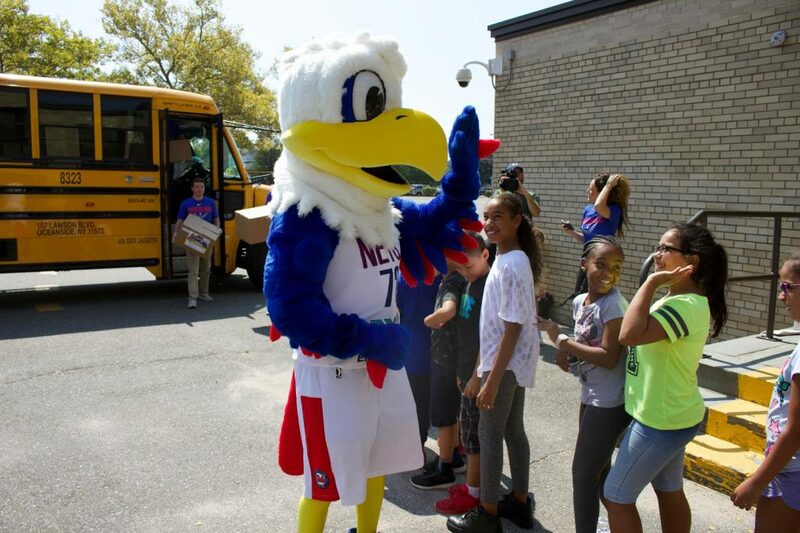 The Long Island Nets also partnered with the organization this year and had its mascot “Dale the Eagle” greet students and help them unload boxes from the bus. Bayview’s Priscilla Varela and Celine Levine’s fourth-grade classes, and Giblyn’s Kelly Nicholson and Samantha Schnitzer’s fourth-grade classes participated in unloading the bus, carrying 100 boxes of supplies. Both schools received 50 boxes that contained a variety of school supplies, including notebooks, pens, pencils, markers, crayons, scissors, erasers and backpacks.